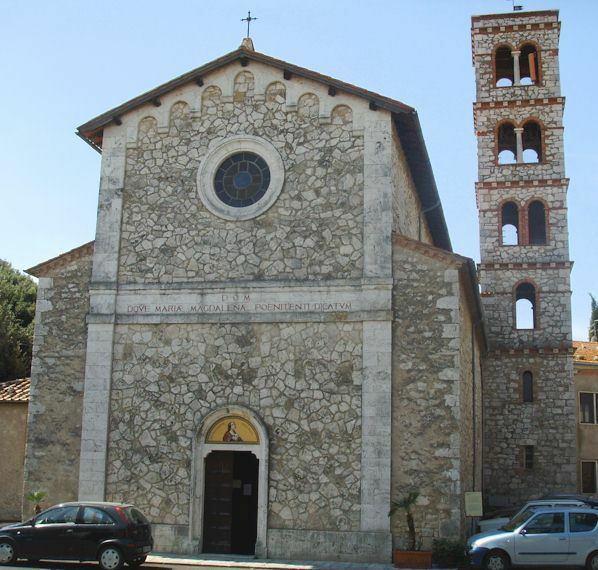 Click here to find holiday accommodation near Saturnia. 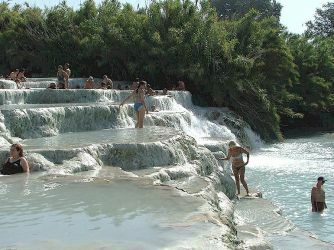 Saturnia is located about 12 miles northeast of Pitigliano, another Etruscan site, and about 23 miles northeast of Orbetello and the Maremma coast. It is sometimes referred to as the oldest city in the Italian peninsula probably based on the mistaken assertion by George Dennis in "Cities and Cemeteries of Etruria" that the tumuli nearby are megalithic remains. Nevertheless, Saturnia does indeed have ancient origins, and Dionysius of Halicarnassus lists it among the towns first occupied by the Pelasgians and then by the Etruscans. 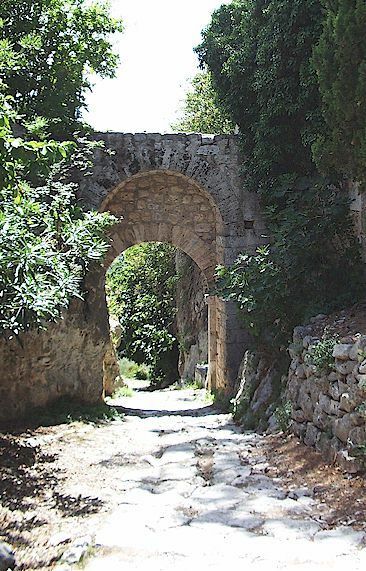 A Roman colony was conducted here in 183 BC, and it was a prefecture, but otherwise little is known about it. Roman walls and a Roman gate are still extant. Both Etruscans and Romans enjoyed the thermal springs but in about 1300 Saturnia was razed to the ground by Sienna apparently because it had become a refuge for exiles and conspirators. During the Medieaval period many legends grew up around Saturnia where clouds of dense steam were emitted, evoking the underworld, the Devil and so on. It was said that the waters were bewitched, both on account of their heat and the acute “satanic” odour that emanated from them. 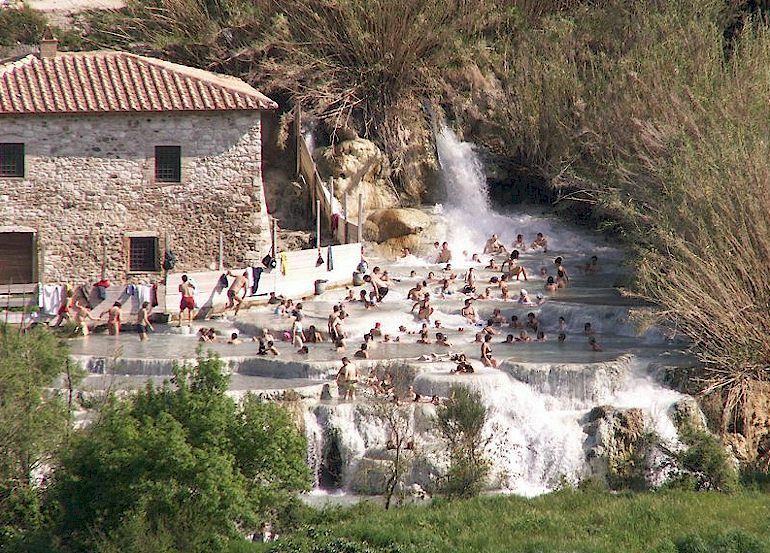 Saturnia was rediscovered in the second half of the 1800s when Bernardino Ciacci arranged to have the land around the spring drained and a thermal establishment built. Local people and visitors enjoy soaking in the hot pools on the calcareous terraces of the Cascate del Mulino, and there are modern spa facilities in the area. More about thermal baths, mineral pools, hot springs and spas in Tuscany.